Bentonite is a type of absorbent and powerfully healing clay that was discovered in the late 19th century near Red Rock, Wyoming at Fort Benton, hence the name. It’s derived from a type of volcanic ash that had fallen into a prehistoric body of water which evaporated and left behind a bed of this mineral-rich clay. It is known to contain over 60 natural trace minerals such as calcium, iron, magnesium, potassium and silica which are all essential to human health. Bentonite clay is especially unique as it has the ability to produce an electrical charge when hydrated. Upon contact with fluid, its electrical components change, allowing it to absorb toxins. In ancient cultures, a ball of the clay was said to be used by dissolving it in water and ingested with meals in order to heal an array of digestive issues and other ailments. The clay can be used externally as well as internally – here is a look at just 7 of its many uses. Every cell in the body excretes waste material which becomes toxic and poisonous if allowed to build up quicker than it can be eliminated. In addition, we are all exposed to a wide range of toxins in our environment, including the air we breathe, the food we eat, the water we drink, and a host of chemicals from all types of everyday products. Bentonite clay uses a negative ionic charge to capture and absorb toxins. Since many of the toxins in our body are positively charged toxins that are attracted to and bond to the clay, it makes it especially effective for a detox. You can use it internally by mixing 1 to 2 teaspoons in 8 ounces of filtered water; drink and then follow with another 8 ounces of water. It can also be used in a bath by adding 1 to 2 cups of the clay to hot bath water and soaking for at least a half hour. The clay is known to promote and speed healing in a variety of skin conditions, including acne. It can also help to heal a wound faster. A mask of the clay mixed with water can be added to all types of skin irritations such as blemishes, cuts and rashes. Just apply and leave it on until it dries, and rinse. It is known to be especially effective to relieve the itching from eczema and psoriasis. Because the clay has a high concentration of essential minerals, it is quite effective at promoting better oral health. It may even help re-mineralize a tooth with mild decay as well as offering mild abrasive properties that can help scrub and polish the teeth. To use as a toothpaste mix 3 drops of tea tree oil and 6 drops of essential peppermint oil to about 2 ounces of hydrated clay. Detoxifying the liver can help reduce allergy symptoms, and sometimes eliminate them completely. As the clay helps to stimulate eliminatory channels, it is known to effectively treat hay fever and allergies. It works because these issues are caused by the release of histamines; the liver becomes clogged with toxins and fatty tissues which prevent it from producing the necessary antihistamines to neutralize allergic reactions. 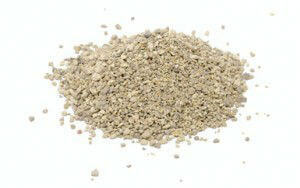 Many people have used bentonite clay to help cleanse the colon. It is known to relieve bloating and gas as well as to ease symptoms of digestive disorders like irritable bowel syndrome. When taken internally, the clay is an excellent supplement to your diet to increase mineral intake due to its magnesium content as well as approximately 67 other trace minerals. As our modern day soil is so greatly depleted of nutrients, many of us are in need of a mineral boost. Bentonite can be used to clarify and condition the hair by effectively removing product buildup without stripping the hair. It will leave your hair conditioned, moisturized and shiny. It is also said to promote thicker hair and even hair growth. Simply apply it like a regular conditioner and leave it on the scalp for about 20 minutes before rinsing. With so many wonderful uses for Bentonite clay, this is really something that should be in everyone’s medicine cabinet! Hey Buddy!, I found this information for you: "7 Uses for Bentonite Clay". Here is the website link: https://www.thealternativedaily.com/7-uses-bentonite-clay/. Thank you.